One idea for a perfect New Year's Eve menu is fondue! A fondue feast is a delightfully interactive and delicious meal. 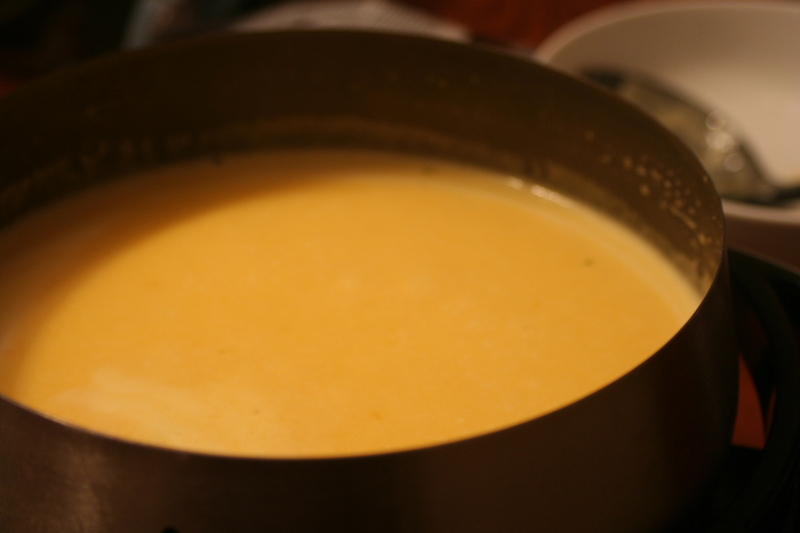 You can cook fondue by heating oil or chicken stock in a fondue pot and cooking various meats and vegetables. Having several different dipping sauces makes it all the more tasty. 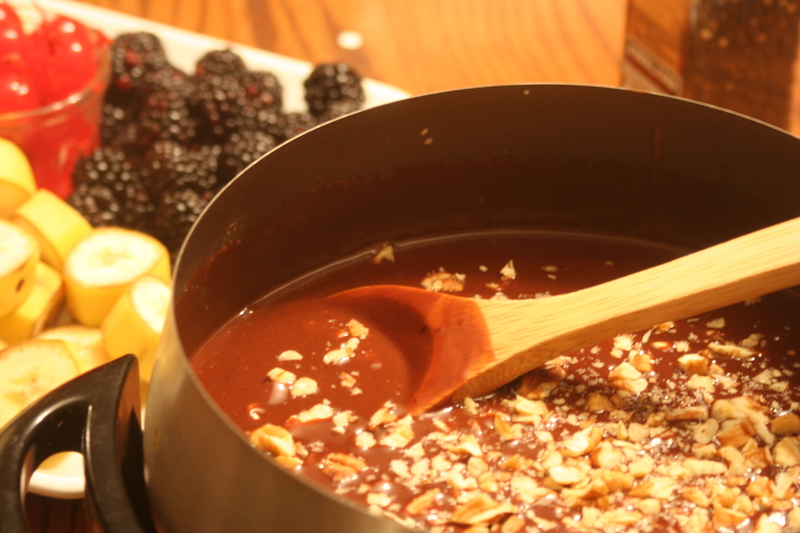 For a simpler fondue evening, make a pot of cheese fondue and a pot of chocolate fondue. I like to serve the cheese with three or four of the following: bread, carrots, cauliflower, celery, apple, and salami but you can use whatever you prefer. Make sure and provide dipping forks and individual plates for each guest. I like to serve chocolate fondue with an assortment of five or six things like bananas, strawberries, cherries, blackberries, pineapple, marshmallows, rice krispie treats, shortbread, thin butter cookies, and brownies. So delicious! Bring stock and wine to a simmer. Stir in garlic. Slowly add cheese until desired thickness is reached. Finish with fresh ground pepper. Heat cream until just beginning to bubble around the edges - stirring constantly. Add chocolate chips and stir to melt. Add caramel and continue to stir until combined (or swirl if using caramel sauce). Fold in pecans or sprinkle on top. Enjoy with fruit and goodies for dipping.